Fried in cannabis olive oil, infused latkes are guaranteed to elevate your Hanukkah gathering. Pair these infused potato pancakes with cool sour cream and a touch of sweet applesauce for the ultimate savory treat to ring in the holiday. 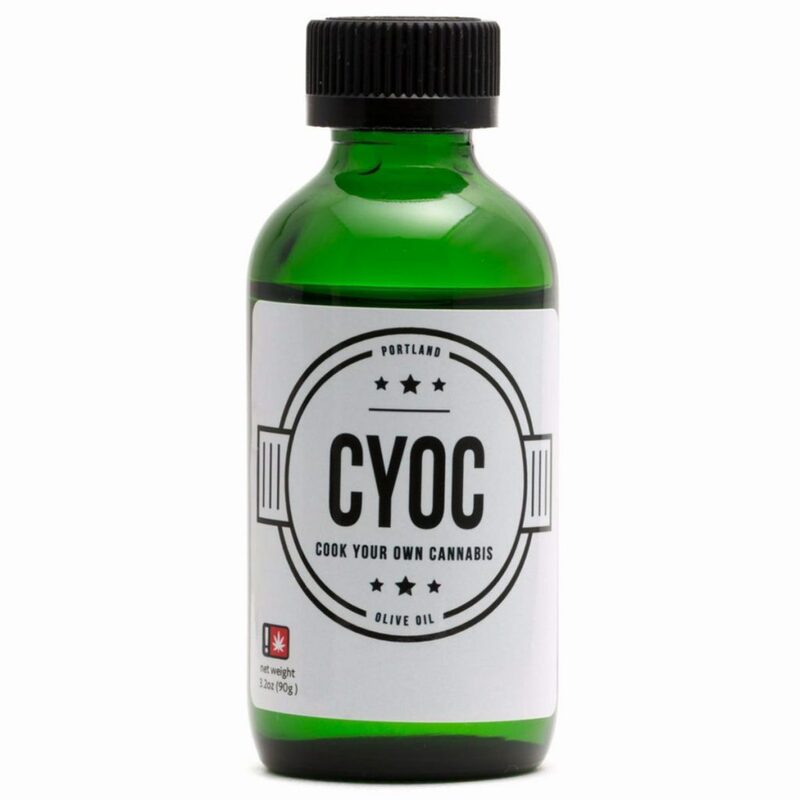 Cannabis product: CYOC Olive Oil from Little House Foods (available in Oregon). Alternatively, make your own infused olive oil using our recipe. Peel the potatoes and cut into equal quarters. Add potatoes to a food processor and process using a blade that will create long, thin strips. In a large bowl, combine processed potatoes with the beaten eggs, matzo meal, salt, and pepper. Over medium heat, add the infused olive oil to a large skillet. Leaving a little space in the pan between each latke, drop six large spoonfuls of the potato mixture into the skillet and press down to create a flat circular or oval shape. 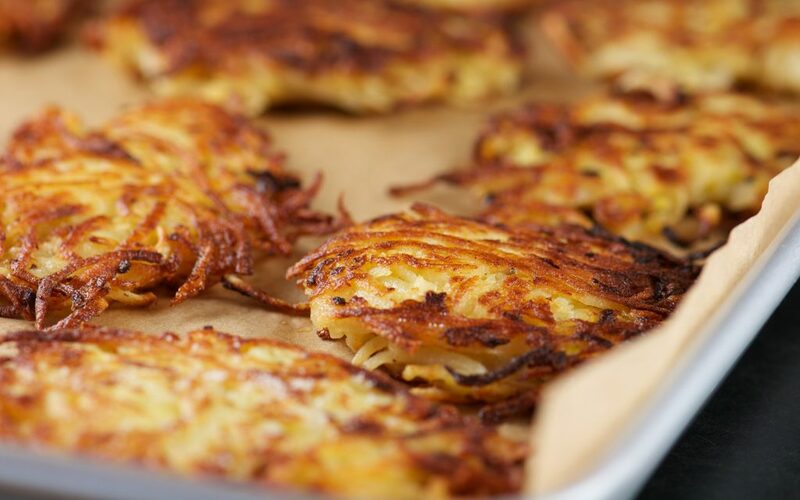 Fry each side of the latkes for four minutes or until crisp and golden. Repeat until all the latke mixture has been fried. Transfer the latkes to a paper towel on a large plate and let cool for a minute or two. Enjoy with applesauce, sour cream, or a dollop of both. 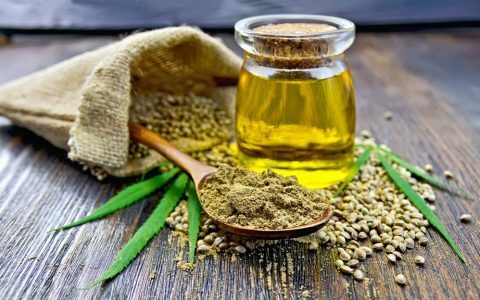 *Note: The amount of cannabis product specified in this recipe is a very loose suggestion; the actual amount you use should be modified based on the strength of your product and the potency you desire. Dosing homemade edibles can be tricky (click here to learn why), so the best way to test for potency is to start with one portion of a serving, wait one to two hours, then make an informed decision on whether to consume more. Always dose carefully and listen to your body, and never drive under the influence of cannabis. Great article and thanks for linking to CYOC Olive Oil!